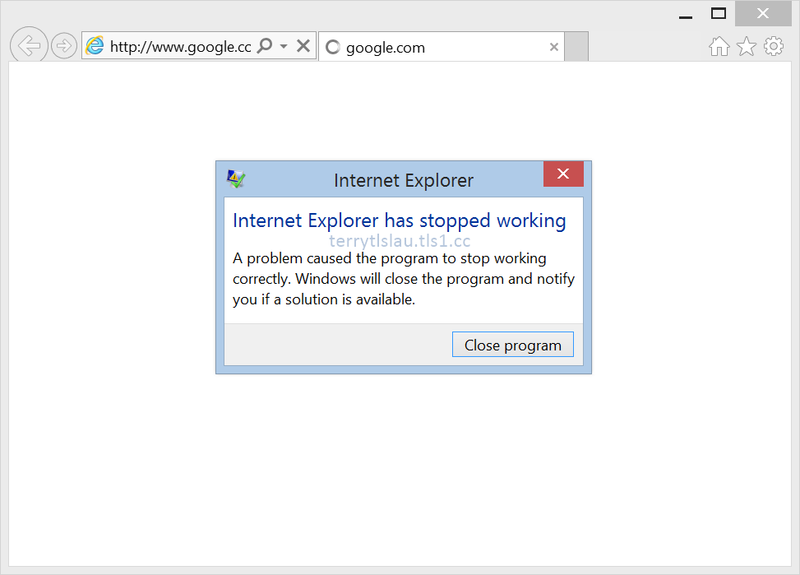 After installing Enhanced Mitigation Experience Toolkit (EMET) 5.2, Internet Explorer keeps showing the following error message. There is an event, event ID 1000, related to EMET under Application Log. It seems that Microsoft updated some codes in this version which is related to "Certificate Trust (Pinning)". 1. Change "Certificate Trust (Pinning)" to "Disabled" in EMET 5.2. For security compliance, you may not allow disabling this feature on your environment. 2. 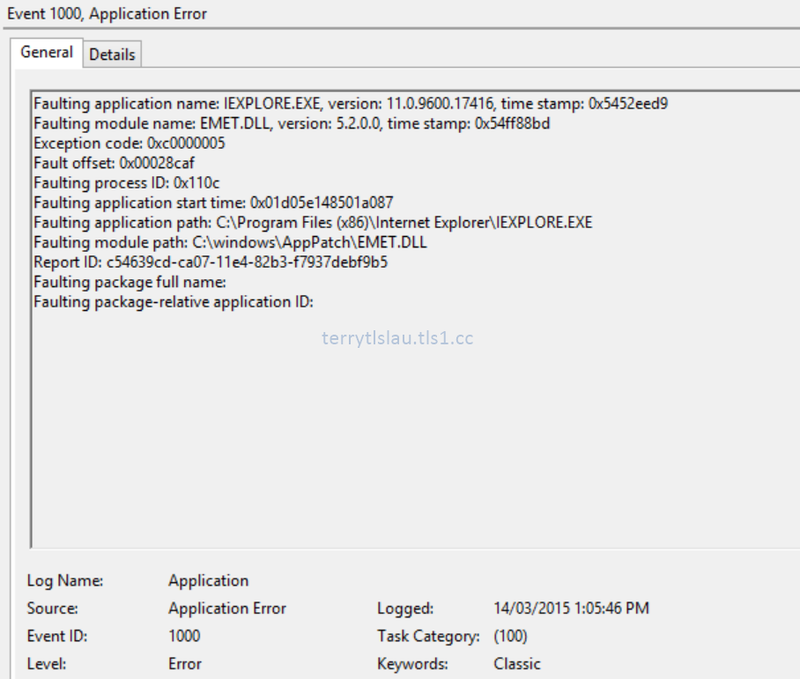 Rollback EMET to the previous version. Eventually, Microsoft released an updated version of EMET 5.2. Please go to the following web site to download it.